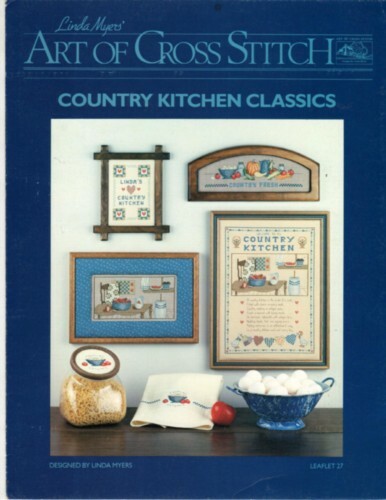 Art of Cross Stitch Country Kitchen Classics Linda Myers counted cross stitch booklet. Country Kitchen, Country Fresh, Towel and Country Keeper, Kitchen Patchwork. Store sticker on cover. Some very minor shelf wear along edges.